The parent's of a 3-year-old boy are under arrest after he fell out of a two story window in Upper Darby on Monday, 5/28. It happened around 5:30 p.m. on the 300 block of Hampden Road. The boy had been left home alone for hours when he climbed out of the window and fell to the ground. Police Superintendent Michael Chitwood said that when they arrived a neighbor was holding the child who was suffering from head and facial injuries. He was taken to the hospital and is in stable condition. The father, 31-year-old Legbo Wanhi, was supposed to be watching the child but was out looking for a job all day. Police did not make contact him until 11 p.m. The mother, 29-year-old Lea Wanhi, was at work and then went to a store. 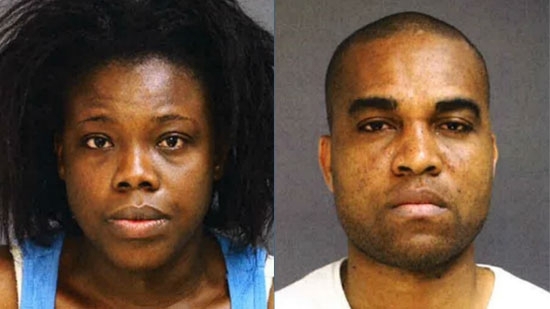 They were both charged with endangering the welfare of a child and other crimes. They are being held at George Hull Correctional Facility on 10 percent of $30,000 bail. Starbucks closed over 8,000 stores nationwide this afternoon to conduct anti-bias training with more than 175,000 employees in the wake of an incident in one of its stores in Philadelphia last month. The training will not just focus on racial bias but will include ethnic background, religious, orientation, and even a person's 'station in life.' The 'unconscious bias' curriculum was developed with experts, consultants, and activists and includes a video as well as workshops and exercises. This stems from the arrest of two black men at the Rittenhouse Square store located at 18th and Spruce Street. One of the men asked to use the restroom but was denied because it was only available to paying customers. Police were called by the manager after they refused to leave or buy something. The men were waiting for a friend for a meeting. Starbucks has since changed its policy so that anyone can use the restroom, whether they have purchased something or not. They have also explicitly enacted a previously informal policy that allows anyone to use their lobby space. Managers are being trained not to call police unless a situation is unsafe. The Cape May County Prosecutor's Office is investigating the arrest of a woman on the beach in Wildwood over the weekend caught on video. The video shows an arresting officer strike the woman in the head as he wrestles her to the ground. The video has gone viral on social media. Authorities say that they stopped 20-year-old Emily Weinman of Philadelphia for underage drinking on the beach. She refused to give officers her name or ID. Police also accused her of assaulting officers and spiting on them. She faces numerous charges. Wildwood Police Chief Robert Regalbuto says the video on social media only tells part of the story. They will be releasing the officer's body cam footage in the coming days. The prosecutor's office is investigating if excessive force was used in making the arrest. "The police incident involving Ms. Emily Weinman and the Wildwood Police that took place on Saturday, May 26 is currently under review by the Cape May County Prosecutor's office and therefore I cannot issue a statement at this time," said Cape May County Prosecutor Jeffrey Sutherland. "Once the initial investigation is completed by the Wildwood Police Department's Internal Affairs Unit, the police video will be released to the general public and a more formal statement will be made by our office." The two officers have been placed on administrative duty.